What can you do, as a marketing expert, to ensure that the campaign mail you just sent out to your customers is perceived and displayed in the way you intended? Due to the huge variety of email clients and devices, the same email HTML can be displayed differently on different devices. A good way to ensure compatibility to current HTML standards and engines is by using a web browser such as Microsoft Internet Explorer or Google Chrome to render the email content. How does it work? 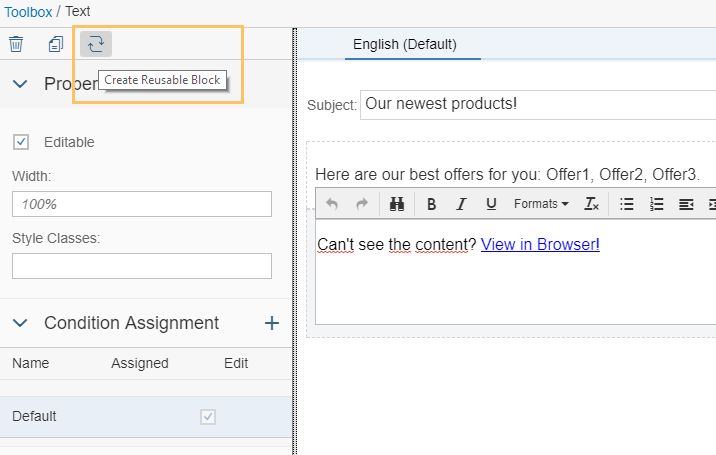 Using the custom solution presented in the following blog from Tim Nusch; “View in Browser” functionality for SAP Hybris Marketing as a starting point, we have further improved this by implementing an API and reusable blocks in our 1708 release. This can be used to build a browser-based view that can be managed by customers in the Cloud and On-Premise versions of SAP Hybris Marketing. This blog explains its 3 components, which guarantee the best possible HTML fidelity for your email campaign messages across all devices. Update February 2018: Added new chapter about 1802 enhancements. But how does that special link have to look and which functionality does the website where the link points to have to deliver? Let’s dive a bit deeper. Represents the entire content of a campaign message. This can be HTML content as well as other types of text-based campaign message content. Generally speaking you provide the link to the original message and contact and get the corresponding HTML email in return. This is what we use as View in Browser content. The end user will have to provide credentials for the backend system where the OData Service is called. Just clicking the link will lead to a logon popup which is not what we want. The outbound ID is dynamic, meaning each contact has his own unique outbound ID per received email. We can’t just insert the same static URL in the email. The OData response is provided in the XML format, meaning that you will only see the cryptic XML structure and not the original HTML content rendered in your browser. The end user will see an error message in XML if something goes wrong down the line. Wouldn’t it be better to redirect the user to your default landing page as a fallback in case of an error? The servlet implementation has to deliver the features mentioned above to ensure a seamless end user experience for the View in Browser functionality and be deployed and reachable under a public URL. As a result now you have got the application URL to your servlet which we will use in the next step, inserting the View In Browser link into the marketing email. Communicate the URL to the user responsible for the email creation, e.g. via email. 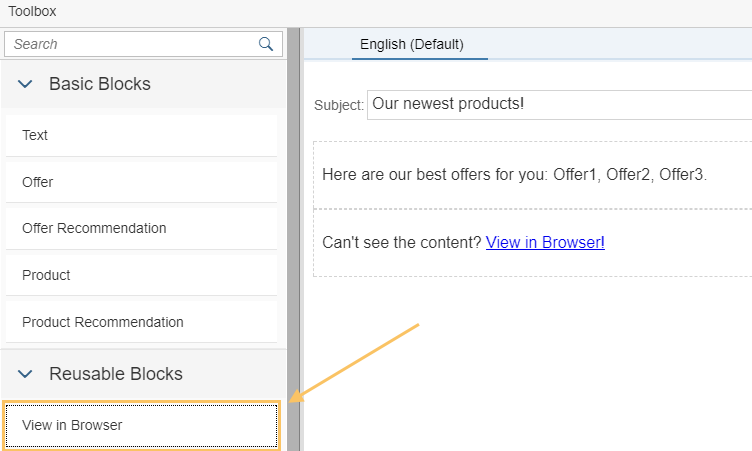 If Append Outbound ID is checked it is provided in sent emails via the parameter sap-outbound-id in the View in Browser link. Its value has to be passed to the OData Service as parameter CampaignOutbound by the servlet implemented the step before. 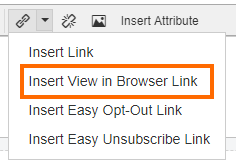 Uncheck Trackable for Campaign Analytics because you don’t want to track the View in Browser link itself. More documentation to Reusable Blocks is available in the SAP Help Portal. As of 1802 the customer-managed scenario described above is no longer needed in SAP Hybris Marketing Cloud. A new SAP-managed scenario is now available. However, if you have the communication arrangement SAP_COM_0094 with your custom servlet up and running, you can, of course, keep using it. 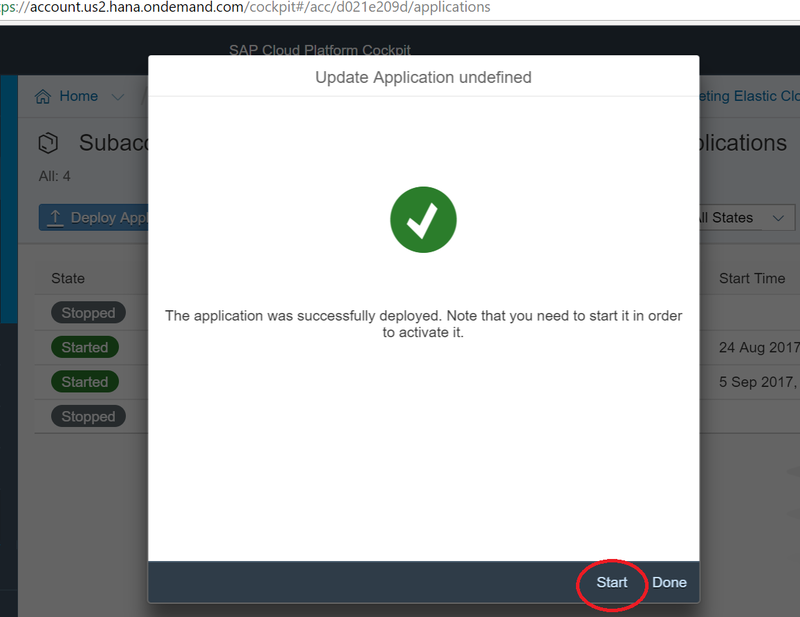 On-Premise: Enter the URL to your deployed servlet in Customizing for SAP Hybris Marketing (transaction CEI_IMG) under Campaigns -> Content Studio -> Set Up View Email in Browser Link. If the value is empty, you will not see the “Insert View in Browser Link” button. 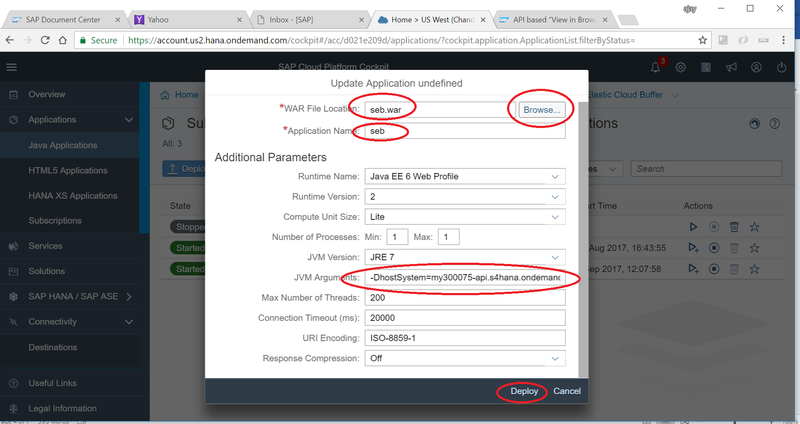 Cloud: Enter the URL to your deployed servlet in the communication arrangement SAP_COM_0094, parameter “URL”. If the value is empty, you will see the “Insert View in Browser Link” button, but the links point to the SAP-managed servlet. You should now be able to understand the technical details regarding the API-based View in Browser functionality in Content Studio for 1708 and the enhancements for 1802 (Cloud) and 1709 SP01 (On-Premise). Do you like this blog entry? Share on your favorite social media :-). Questions, feedback or additions? Leave it in the comments! I am currently working on 1709 SP01 version and would like to activate ‘view in browser’ functionality. Could you pl. share the .WAR file that we could use. Also, if could pl. list down the list of steps to perform if we use Amazon API gateway. Do we also need a Java based web server also alongwith API gateway?